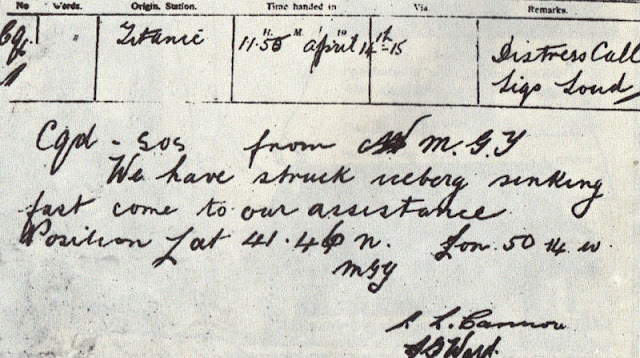 On April 15, 1912, the RMS Titantic was lost to the Atlantic, along with 1,514 passengers and crew members. It's a tragedy that has intrigued many people over the past century. There is still plenty of wonder and mystery associated with this story. As part of the Adam Young Scores Project, Adam Young has created an instrumental album to interpret such a momentous event in history. 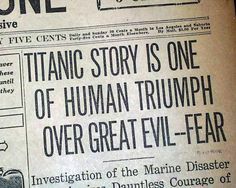 From the start of the journey at Southampton to the hope of the survivors, RMS Titanic: "The Tragedy that Shook the World" captures the "excitement, premonition, and outright horror" of the star-crossed passenger liner. This is what we (Sky and Jaime) think of the album. Sky: The score gets off to a fantastic start with “Southampton.” I absolutely adore this song. The intro involving the strings is beautiful, and I love how it gets more complex as the song goes on. As a bit of background, Southampton, UK was where the RMS Titanic departed from. It’s easy to imagine the hustle and bustle surrounding the impending departure. Jaime: The first track, "Southampton," starts off the album with a prideful jaunt. The RMS Titantic sits in the port, awaiting her maiden voyage. The captain stands on deck to overlook the massive vessel. Passengers begin to board with bright smiles and exciting chatter. The adventure begins here with a pleasant melody the helps me imagine the glamour and swing of the early 20th century. This track is, sadly, one of the happier tracks of the album. It reflects perfectly how boisterous and impressive everybody felt before the Titanic headed across the cold Atlantic water. This was a game changer in the world of ships. This track reveals the "presumptions of technological infallibility." Sky: “Boarding” increases the excitement, and it seems like this, along with the first song, could be part of a Disney movie. I can’t help but think of the town in Beauty and the Beast when I hear it. I love the excitement of this track, and it really sets the stage for the RMS Titanic’s voyage. Jaime: Another upbeat and exciting track, "Boarding" emulates the emotional excitement of pulling out of the port and setting off on the journey. I can just picture a young boy racing around the immense ship, moving from corridor to corridor, from level to level, exploring every nook and cranny packed into the design. Then, he reaches the deck and stands at the rail, back turned to the waving crowd that gets smaller as every second passes. He looks out across the water, his eyes on the horizon, dreaming of America. 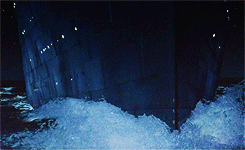 Jaime: This track moves us out of the eyes of the passenger and into the perspective of the captain of the Titanic. Calm and steady, just like the notes of this song, the captain commandeers the ship out into the void of the sea. There's even a hint of dreaminess in this song, suggesting the captain is fulfilling his dream to steer such a beautiful vessel. Sky: “Maiden Voyage” is probably my favorite track. It’s intrepid and exciting with soaring melodies and an adventurous tone. I love the way all the instruments weave in and out of each other. I can easily picture the Titanic setting off into the blue ocean. Jaime: The upbeat rhythm returns. This track is the marvel of the adventure during the first few days of the voyage. The fun, the excitement, the glamour of the ship lifts its passengers up and down as they experience everything included in this ten-deck ship. Restaurants, cafes, a squash court, ballrooms, a gymnasium, a swimming pool, lounges, and the Grand Staircase. Just imagine the thrill of such an adventure--and more! Sky: “Lookout Duty” is the first sign of trouble. The creaking of metal pairs well with the piano chords, and it honestly does a very good job of making me feel uneasy. I love the hint of guitar later in the song, which reminds me of the Apollo 11 score, particularly the song "The Lonely Three." Jaime: As Sky mentioned, this is the first track where something seems off. Before, everything felt grand and frivolous--there wasn't a care in the world. But now, darkness and coldness have ascended, shrouding the ship as it pulls further into the Atlantic, away from land. It's like you can hear the iceberg ahead, cracking against the sea, waiting. You can hear every shudder of the ship, shaking your bones with an odd premonition. It's ominous. It's eerie. Sky: “The Iceberg” is the moment we’ve all been waiting for, the moment we all know about. It’s haunting and intense at the beginning with more creaking metal and strings that reach a crescendo. Then, that fades away into a simple piano piece... then silence. The ship has run into trouble. Jaime: The beginning of this track is like the echo of the ship scraping against the Iceberg. Then, suddenly, the ship is creaking and tilting, and the crew begins to notice something is dreadfully wrong. Fear sits in; it overwhelms; paralyzes. This track is truly chilling. I can feel the wave of nausea at the thought of what occurred that fateful April night. The track ends with a quiet melody, melting into silence. It's too late. Sky: The crew of the RMS Titanic doesn’t give up. They search for help in the next song, “Distress Call.” This brings in an orchestral feel with soaring horns and strings, but it soon returns to the piano again, which has a melancholy feel to it. The strings and horns return but soon fade away. It's hard to say whether their distress call was heard or not, but as we know, not everyone is going to make it out alive. Jaime: There's a hint of hope in this track. There's hope that the distress call will bring other ships to their aid. The crew won't settle for giving up; they move through their duties, doing what they can. But the end of the song becomes sad, almost reverent of the situation. There's still a glimpse of hope among the sense of fear and horror. This track builds upon "The Iceberg" and moves into "Sinking" with a graceful and careful selection of notes and instruments. Sky: In “Sinking,” things intensify, and it makes me feel a bit sick to my stomach when I think about what’s going on. The song ebbs and flows, causing just the right amount of tension. There's no doubt about it: the ship is sinking, and this song conveys that fear perfectly. Sky: “Lifeboats” is oddly peaceful, bringing back the piano and keeping it simple. But then the song segues into “Nearer, my God, to Thee,” the song that the band played as the ship sunk. And basically, I’m a puddle of tears, even though this event happened over 100 years ago. Jaime: This song brings a turn to the journey. The intensity is high, but there is also a sense of slowness, sadness, pouring on to the decks of the ship, covering the crew and passengers. I agree with Sky, this track shouldn't leave any eye dry. It's powerful. It's probably my favorite track on the album because of this sudden sense of peaceful sadness. Sky: In “Every Man for Himself,” the creaking returns, and this is probably the most tense track on the score in my opinion. 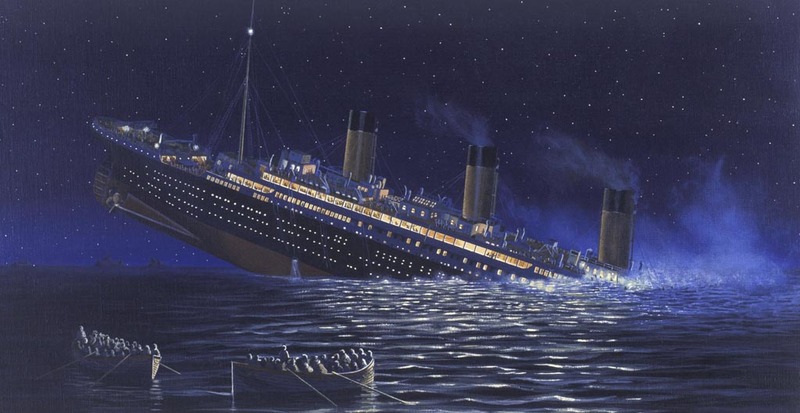 High strings build into a final crescendo, and then the RMS Titanic is just... done. Gone. Jaime: This is the point of no return. The crew has loaded as many women and children as they can into the lifeboats. They sit in the sea, watching the ship outlined against the sky. The ship is split into two, hanging for a second in the air as if it will not go down. But then, it does. It creakily plunges into the frigid waters. The lights flicker off, and the ship sinks. Sky: “Silence” is hauntingly beautiful. It makes you FEEL the silence, even though you’re listening to a song. Then it actually becomes almost silent and unnerving. It makes me feel so uncomfortable but in the best way, and it's a poignant moment to honor the lives that were lost. Jaime: Just imagine being one of the survivors in the lifeboat. You sit, cold and frightened but alive, in the lifeboat, watching the stern disappear beneath the pitch-black waves. The world is quiet; it's cold; it's dark. This song, as Sky mentioned, allows you to hear the deafening silence that must have followed the turbulent sound of the ship breaking into and the screams of the passengers left aboard as the Titanic dipped into the sea. This track is the most chilling. Parts of it remind me of the "Monster" from Lost, which has always been associated with an eerie, outright horror. Sky: “Survivors” ends the score with a semi-hopeful tone, with swaying violins that lead into the piano again. I love how prominent the piano has been on this entire score. The strings make the track soar and convey victory, then the song finishes off with a slow, sad piano melody. It’s a reminder of what awaits the survivors on shore, but they’ll never forget what they left behind. Jaime: This track is reminiscent of a movie finale. After a tragedy comes the period of time where the survivors mourn and... move on. There is a tragic theme to this entire album, but this track especially fuels the forlorn feelings of being a survivor. There is a glimpse of hope, of moving on, of living the life one has been granted. Sky: The Titanic sank on my birthday (April 15th), so I’ve always had a morbid curiosity with this event, and it makes me sad when I think about it. 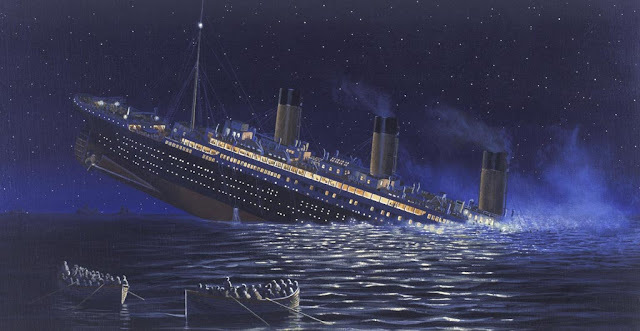 For my 16th birthday, the 100th anniversary of the Titanic sinking, I watched the Titanic movie for the first time, and I sobbed hard through the last scenes. So, when I found out that Adam Young’s next score was about the Titanic, I was nervous. I knew this was going to be intense. And intense it was. The Apollo 11 score didn’t have the underlying tragedy that RMS Titanic did, so I had a lot harder of a time reviewing this. Simply put, this score is sad... but it is utterly beautiful too. I feel that this score brought honor to the historical event of the Titanic, illuminating the story in a different way. It’s perfect to memorialize all the emotions--the excitement, the sadness, and the pain. I’m grateful for the chance to hear this music, and I’m glad this score exists. It brings history to life more than ever before. More than that, it honors the memory of those whose lives ended, and I'm grateful for the chance to remember them. 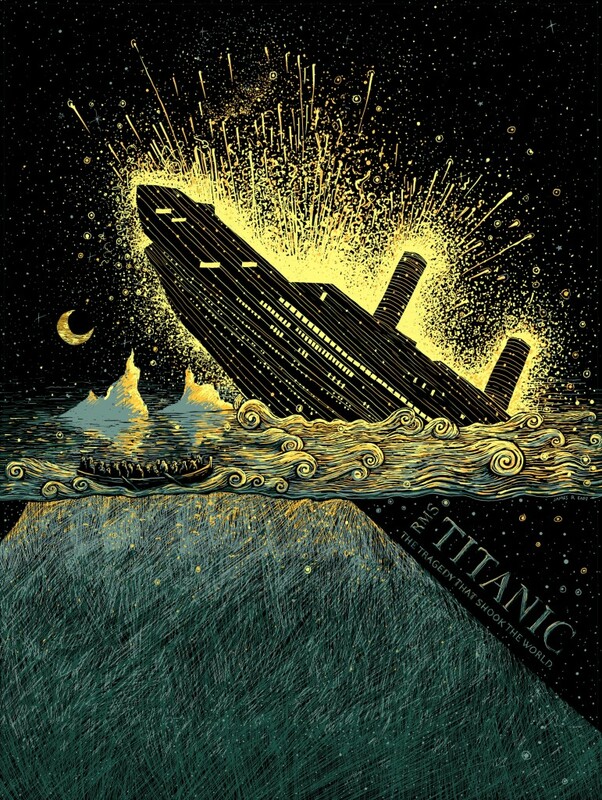 Jaime: RMS Titanic is a hard album to process. But Adam Young did a fantastic job putting music to the emotions of this century-old event. He has a brilliant way of making something so devastating sound so beautiful.This album reminds me of what happened that fateful April night. It doesn't overshadow the excitement of the voyage by focusing on just the fear or sorrow or the end of the story. This album wraps the entire story into a journey: the good, the bad, and the hopeful. It reminds me of the tragedies that occur throughout history, throughout the world. Life isn't always easy to live, but it's definitely worth surviving. What did you think of RMS Titanic? If you haven't heard it yet, you can download it here for free. I've only just managed to catch up with signing in and downloading things. I look forward to listening to the Titanic today while writing a very important essay... :D I've loved all that I've heard so far!